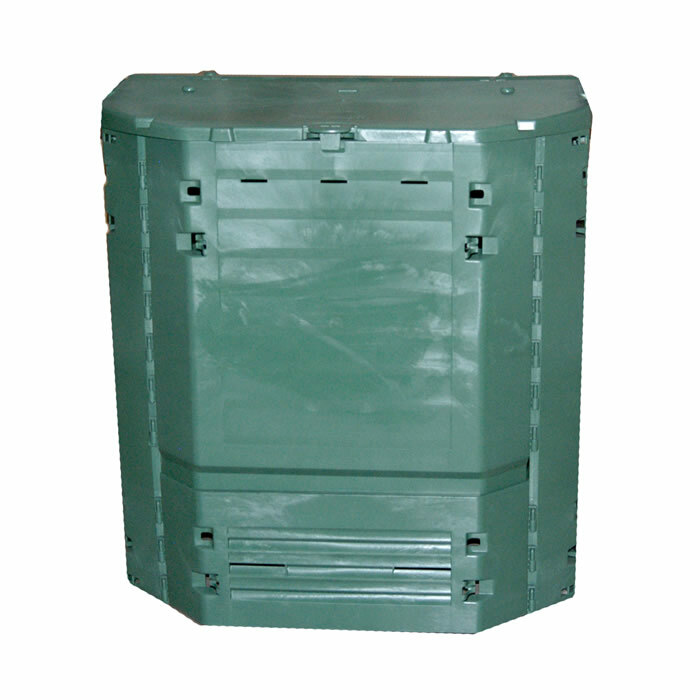 The walls of the 240 gallon Thermo King compost bin are made of Thermolen® which offers outstanding insulation. 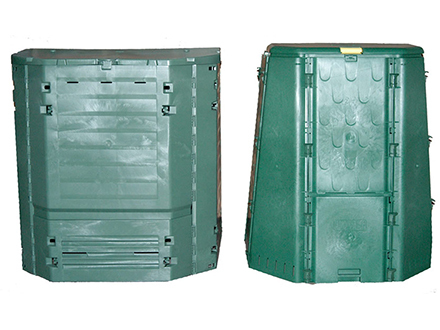 Heat retention is important to the composting process, and this UV stable material provides the ultimate in thermal insulating. 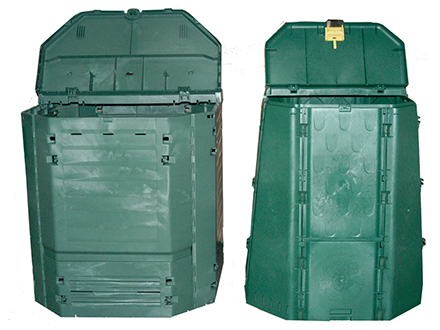 Thermo King is easy to assemble without tools using the Easy-Lock assembly system. 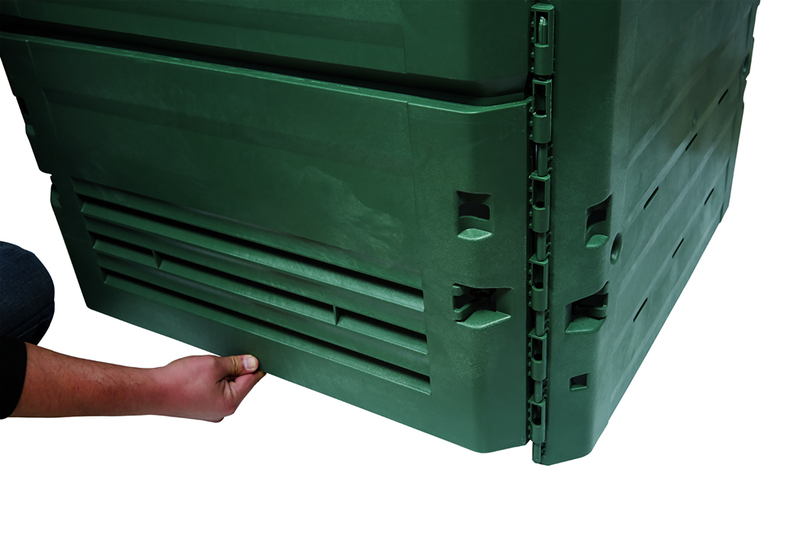 The two large, hinged access panels make it easy to use. 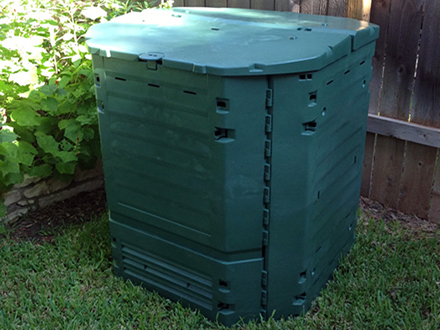 This compost bin features an optimised ventilation system for maintaining the ideal temperature. 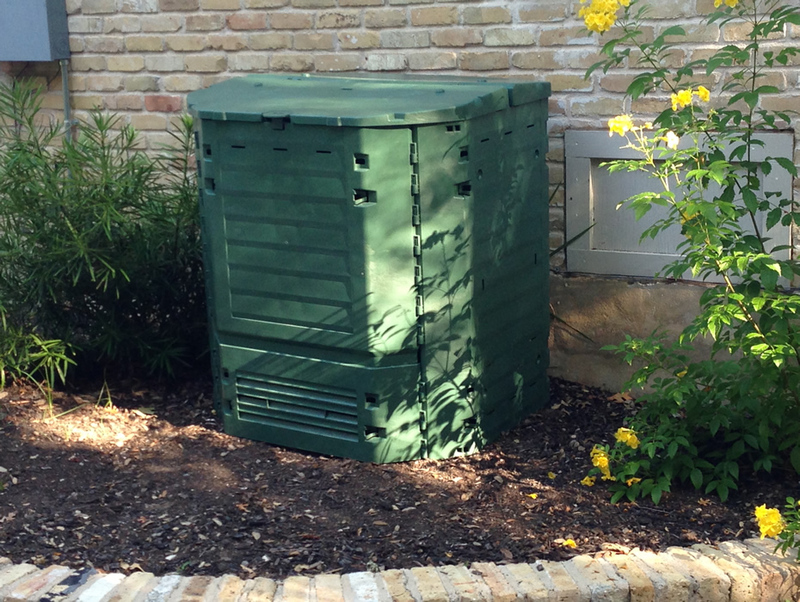 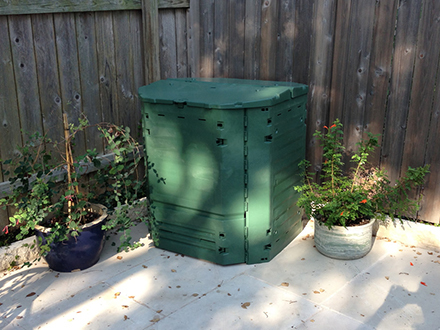 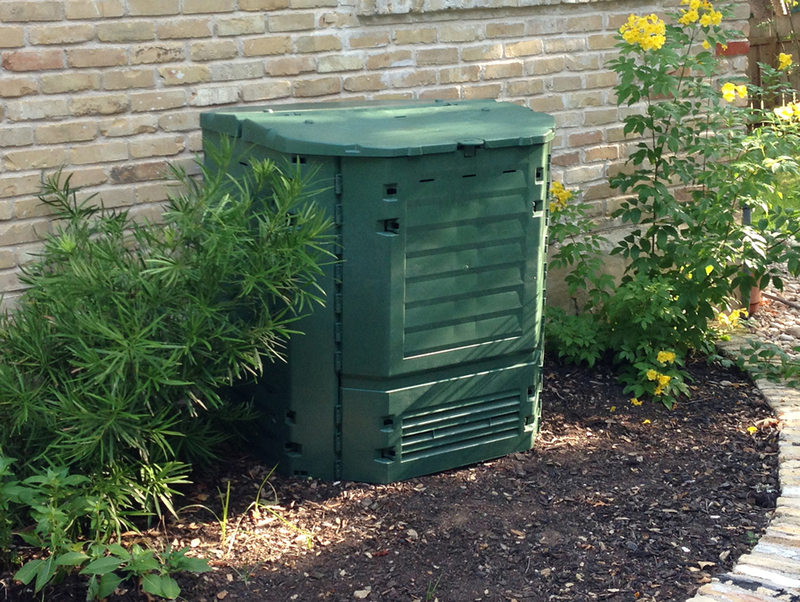 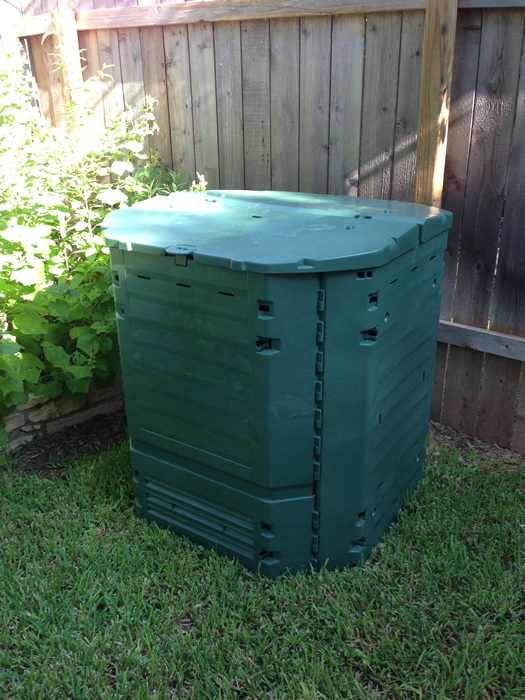 A great composter for people who live in cooler climates. 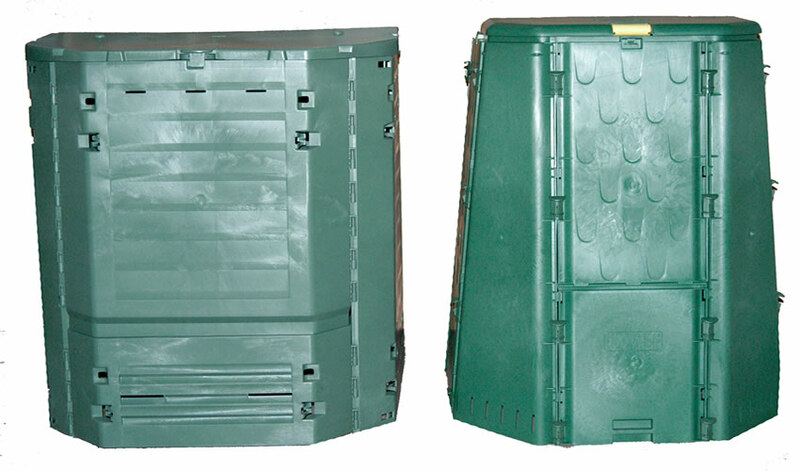 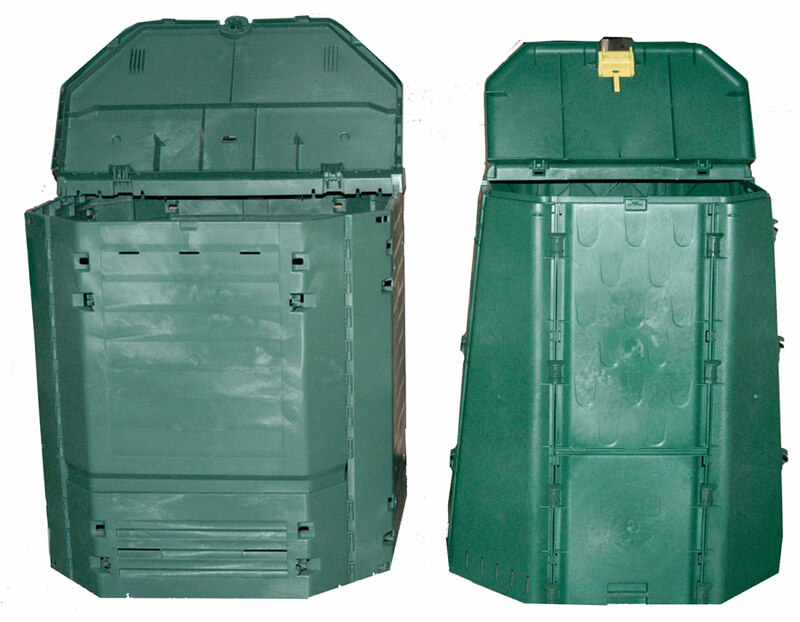 Very large top opening - 2 lids with wind "locks"
Two large bottom doors for easy removal of compost. 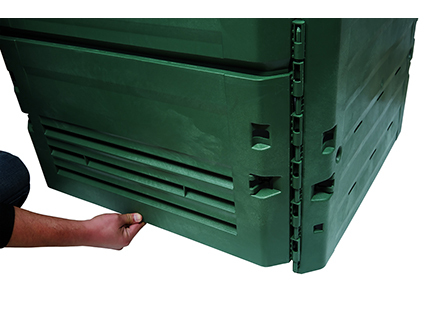 Easy-Lock Assembly System: Easy to assemble - 5 minutes - no tools needed. 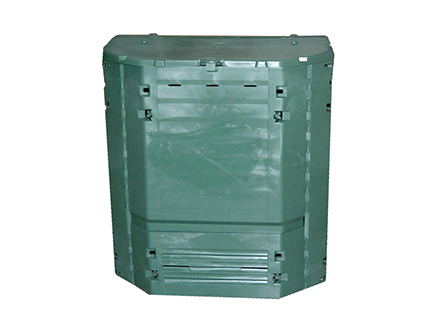 Overall Size Box: 41" x 31.5" x 7.5"